DRINK drivers and motorists under the influence of drugs are being specifically targeted by the Guardia Civil. A week long campaign to clampdown on those driving under the influence of alcohol and recreational drugs got under way yesterday. 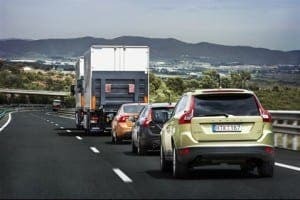 The campaign, which runs until Sunday, will see more Guardia Civil officers out on the roads as well as the creation of extra drug and alcohol checkpoints. Alcohol is present in a third of all fatal accidents in Spain, according to the DGT. The number of positive drink driving tests in Spain has decreased significantly from 5% in 2001 to 2% in 2013. However, the number of drivers testing positive for drugs is on the rise. A massive 11% of drivers stopped tested positive for banned substances in 2014, with cannabis and cocaine appearing most frequently. More Guardia Civil should be out on the roads and everywhere else (also the Policia National and Policia Local) doing their jobs full time, not just for a week, instead of being in the “office” or local bar. As they say, you can never find a policeman when you want one. Well Mike, it would appear those that did get caught got their wish. lol.